At a recent tasting of the newly released five-star 2010 vintage of Brunello di Montalcino, I had a chance to go through several wines in depth at a seminar. But the seminar sample of Val di Suga’s was flat and not that interesting, so I headed down to the tasting floor to see if it was just my sample. I found that the wine on the floor was more like winemaker Andrea Lonardi’s description: good acidity, silky, with delicate fruit and salty minerality. Lonardi works with a group of young winemakers on the winery’s estates and he favors such neutral wood that they are moving back to the region’s historic, native chestnut for some of their ageing. He also said that intensity of color is less important to him, citing Burgundy as an illustration; perhaps we, as consumers, have finally moved past the (false) conviction that a great wine must have extremely concentrated color? Somehow, I always seem to notice what’s different about wines from a particular area, instead of what the wines have in common. Brunellos are made from 100% sangiovese grapes, the only DOCG area in Tuscany with this requirement. So there may be more blending than single vineyard styles here, to balance and round out the wines. But in certain years, producer Val di Suga also separately bottles wines from their vineyards in three different parts of the region, which they showed at this tasting. These wines were from the 2009 vintage, a four-star vintage in general, but extremely good in these examples of 2009 Brunello di Montalcino DOCG. The 2009 Poggio al Granchio, with high vineyards south east of the town of Montalcino, was full of mineral and tobacco. The 2009 Vigna del Lago was made from grapes grown in cool, clayey vineyards at a lower altitude, to the north of Montalcino, and it had sweeter fruit and lighter tannins. The 2009 Vigna Spuntali, from sandy, warmer vineyards southwest of Montalcino, had big, great cherry flavors overriding its tannins. Unfortunately, these 2009 bottlings are not sold in all countries, but they are worth trying if you get the chance. 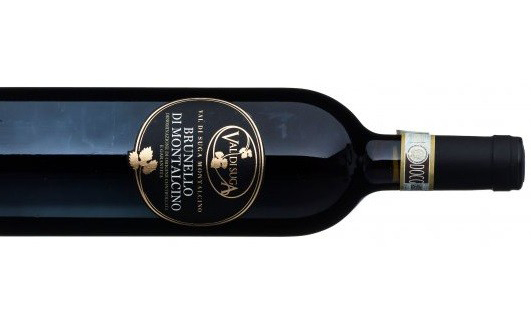 Read more about 2010 Brunello di Montalcino here.